“International equipments” is one of the leading manufacturer and suppliers plastic testing and laboratory equipment in India. In the field of material testing, pipe testing is one of the renowned business in which we have lots of products such as Hydrostatic pressure testing panel, tanks (bath) for hydrostatic pressure testing, End caps from 12 mm diameter to 800 mm diameter in stainless steel and Mild steel, universal testing machine, carbon black content apparatus, impact tester. Most of the equipment are manufactured as per IS, ASTM, ISO, AU/NZ and DIN standards. 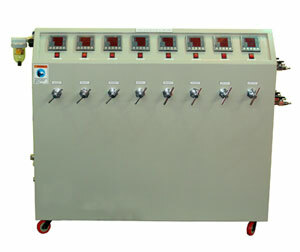 Pipe testing equipments are mainly for testing PPR, PVC, RPVC, HDPE, MDPE and C-PVC pipes.  Pressure Range: 0 – 100 kg / cm sq*. No. of station: 3 nos*. 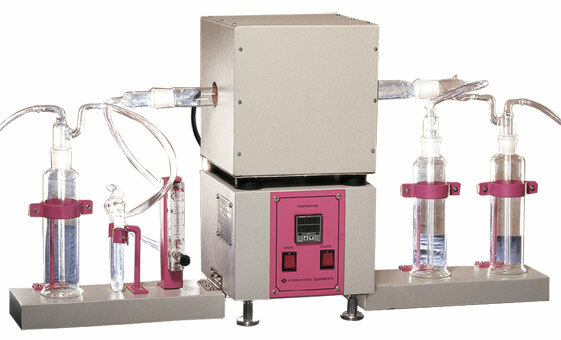 Pressure input: Through compressed air having pressure upto 5 kg / cm sq. Panel mounting: Trolly with caster wheel. Power: 230V, 50 Hz single phase. 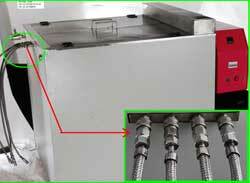 Accessories: Desiccator, Glass U tube, Combustion tube, Combustion boat, Rotometer, Rubber tube [1 no. each], Glass end caps – 2 nos. and Glass traps – 3 nos. Power: 230 V 50Hz, single phase.. 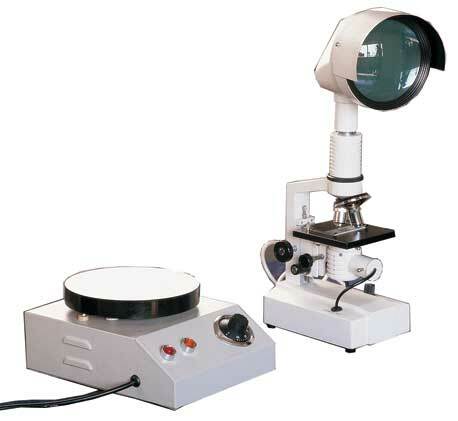 Size of microscope’s Screen: 6 inch diameter. Double Walled well insulated tank with proper insulation for the doors also. Offered capacity: From 200 litres to 5000 litres capacity. 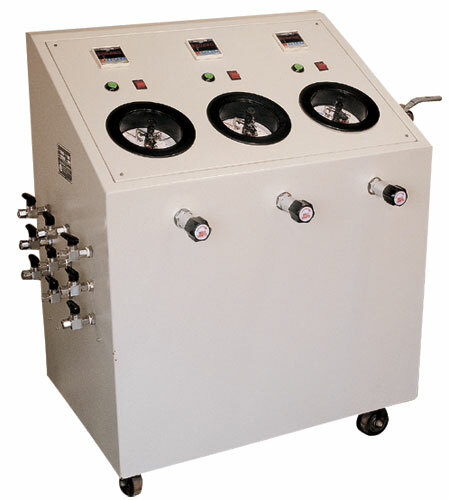 Inside and out for easy handling of hoses coming from panel outside and going to the pipe Samples inside.